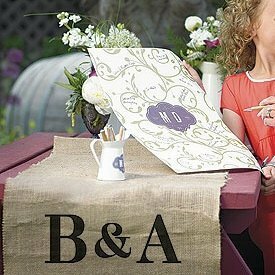 This personalized burlap wedding table topper is perfect for your country charm or rustic outdoor event. 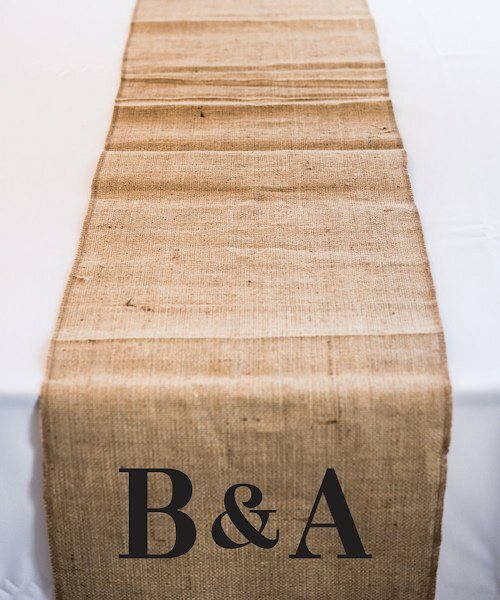 The rustic appeal of this Table Runner adds a warm touch to your event. The finished edges and the charming personalization makes this an ideal table dressing for your head table or all your reception tables. 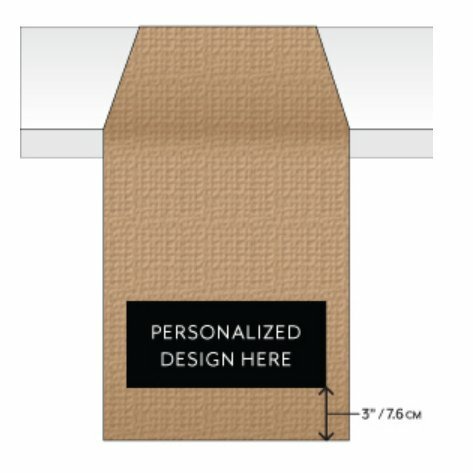 Available in 90" or 120" lengths, both sizes are 14" wide. The burlap runners are the perfect finishing touch to your day. 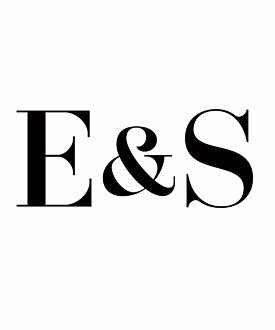 Stahls Printable PU material.